Door units include many components – from doors to glass types and jambs to sills – each of which has many different options associated with it. On top of that, the millwork industry is always changing and new products are being utilized. 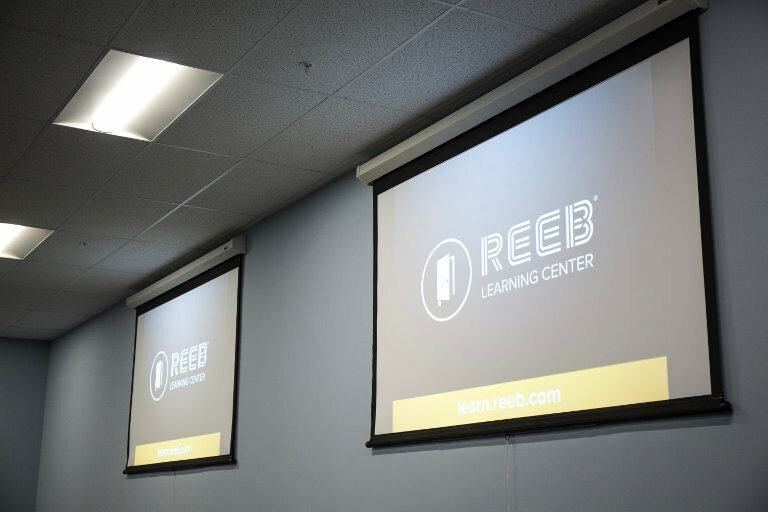 Reeb understands this need and has created various ways to help educate our dealers – in-stock catalogs, a guided selling showroom, and the Reeb Learning Center. One of the best 1 day seminars I've attended - visually, verbally, info-packed. 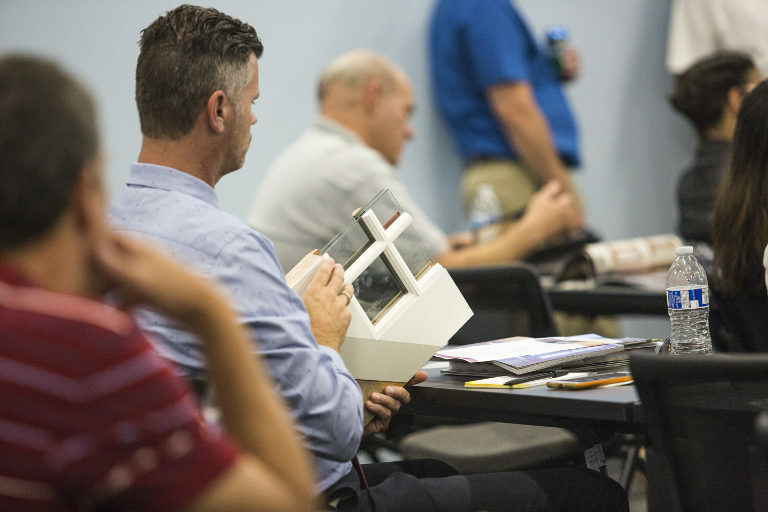 In person training, though, brings the ability to ask real time questions and get knowledgeable answers from vendor representatives and Reeb employees. Reeb offers this type of training through our Reeb College. 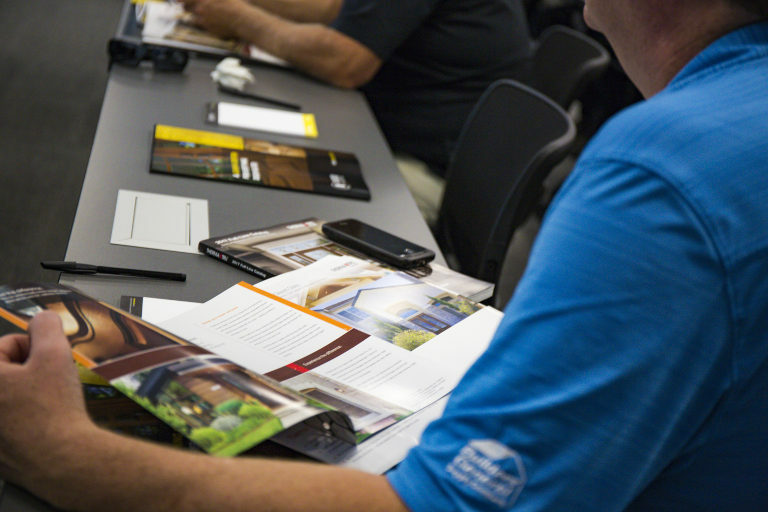 It’s about our dealers and helping them to better understand the products they are selling and to feel confident when working with a customer. 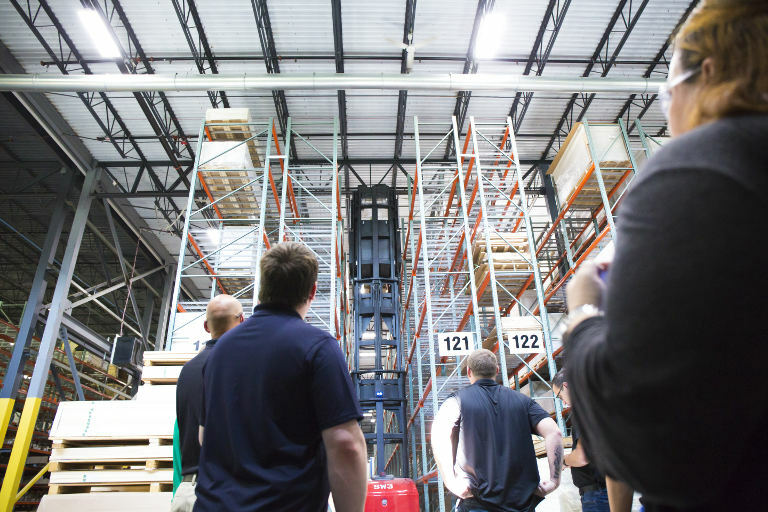 The warehouse tour - very impressive! 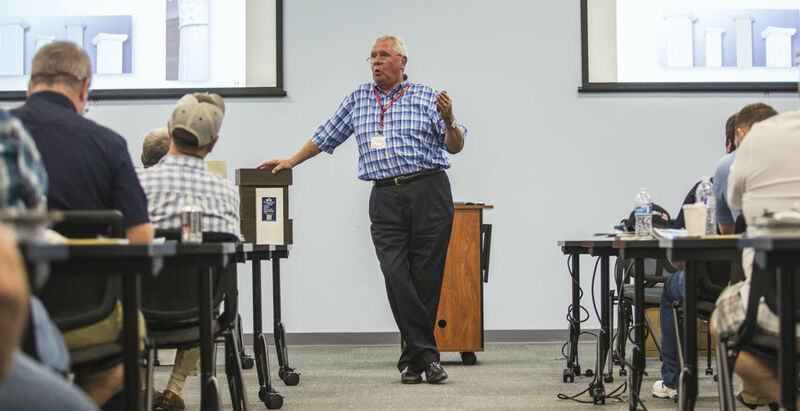 Reeb College is a full day of learning and our last 3 day event welcomed 215 eager learners! 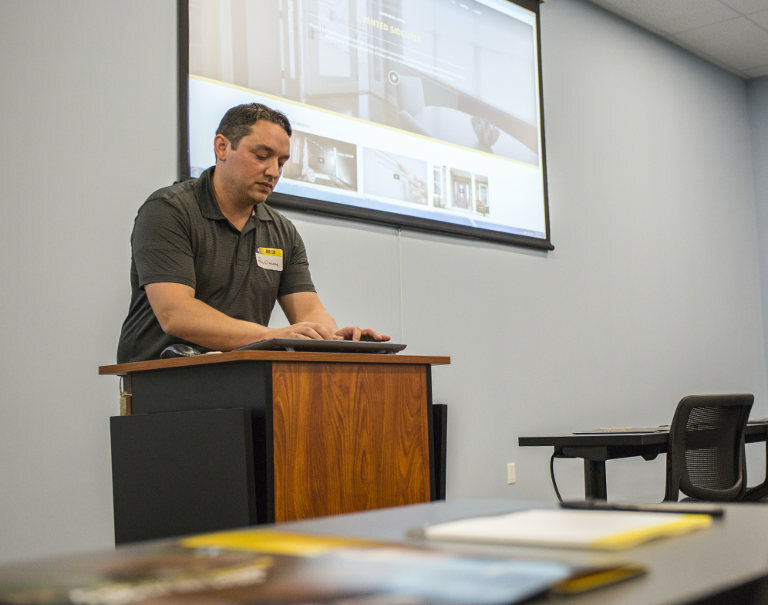 Reeb employees discussed our Learning Center, Reeb Finish, and our offering of Interior Doors. 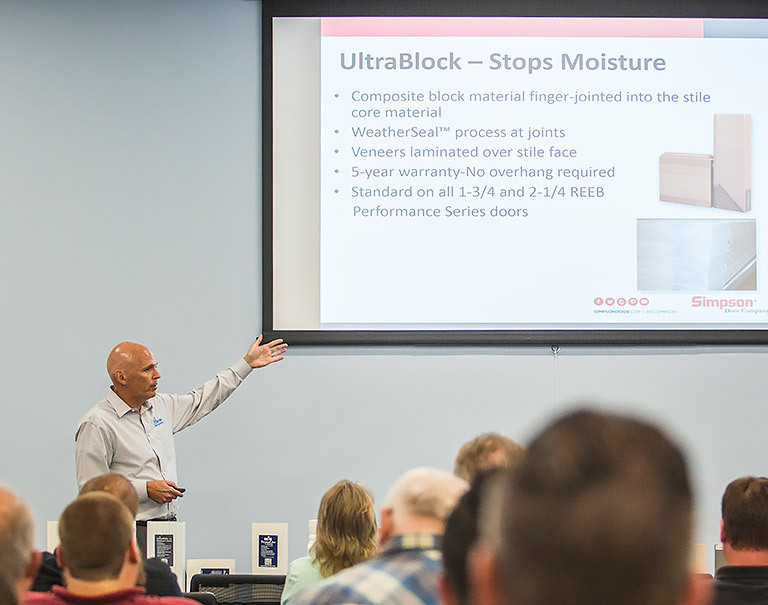 Reeb’s vendors, Therma-Tru, Simpson, Neuma, and HB&G, presented information on their products. We also provided a tour of our new facility here in Bethlehem showing the vast warehouse, the production lines, and Reeb Finish. Everyone was hospitable and friendly. The Reeb team and vendors match the image and reputation of the company! We want to thank each and every attendee for their time. Everyone who came walked away with some great knowledge of what Reeb is able to offer. We look forward to providing additional Reeb Colleges in the future and look forward to having anyone who wasn’t able to attend last time join us!